The squadron, originally known as the Tigers, had its first insignia approved by Chief of Naval Operations on 4 March 1944, consisting of a lion cub riding a torpedo. Bob Burns gave the squadron a lion cub. On the patch the cub is holding the musical “bazooka” that Burns used in his act, while riding a torpedo. The lion went to the Los Angeles Zoo. A new design replaced the cub with a tiger and parrot on the torpedo, and was approved on 18 April 1949. 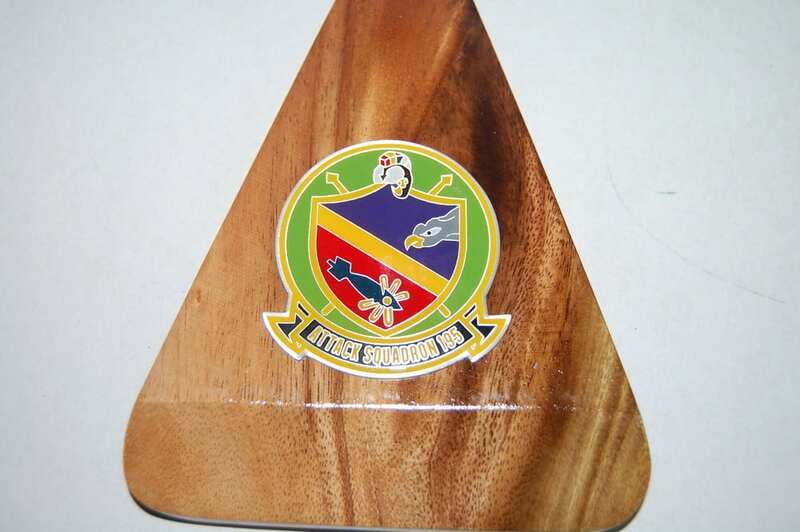 Sometime in the 1950s, the squadron adopted a shield insignia that featured an eagle’s head and a torpedo. On 1 May 1951, squadron aircraft disabled the heavily defended Hwacheon Dam in North Korea, earning them the nickname Dambusters, echoing the original Dam Busters of No. 617 Squadron RAF. Destruction of the dam had been previously attempted by other units many times. In August 1985, the squadron adopted the stylized eagle on green background insignia in use today. A TBM-3E of VT-19 in 1946. VFA-195 was originally established as Torpedo Squadron 19 (VT-19), at NAAS Los Alamitos, California on 15 August 1943, flying the TBM-1 Avenger. 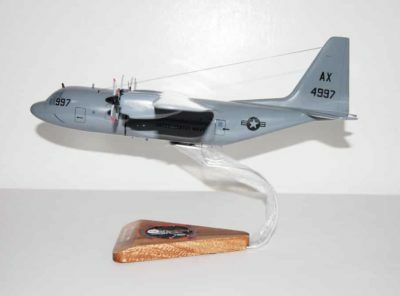 As unit of Carrier Air Group 19 during World War II, it was a part of Admiral Bull Halsey’s Naval Task Force. On 18 July 1944, the squadron flew its first combat mission when it conducted pre-invasion strikes against Guam. The squadron participated in the Battle of Leyte Gulf and in the landings at Palau, Morotai and Leyte (see also Battle of Leyte Gulf). Squadron pilots also flew strikes against the Carolines, Philippines, Bonin Islands, Okinawa, Mindanao, Luzon, and Formosa while embarked on USS Lexington (CV-16). In October 1944, squadron aircraft participated in strikes against the Central Japanese Task Force in the Sibuyan Sea, which included the super battleship Musashi. Three of the squadron’s personnel were awarded the Silver Star for their actions during this strike. Squadron aircraft also participated in the Battle Off Cape Engano, strikes against the Japanese Northern Force composed primarily of carriers, resulting in 25 Navy Cross awards. On 5 November 1944, squadron aircraft participated in the sinking of the Nachi, a Japanese heavy cruiser, which was making a sortie out of Manila Bay. The squadron changed homeports several times during the Second World War, first to NAS San Diego, then to NAS Alameda, NAAS Santa Rosa, California, and NAS Barbers Point before finally ending up back at NAS Alameda in August 1946. VT-19 also upgraded their Avengers throughout the war, to the TBM-3 in February 1945, the TBM-3E in April 1945, and finally the TBM-3Q. 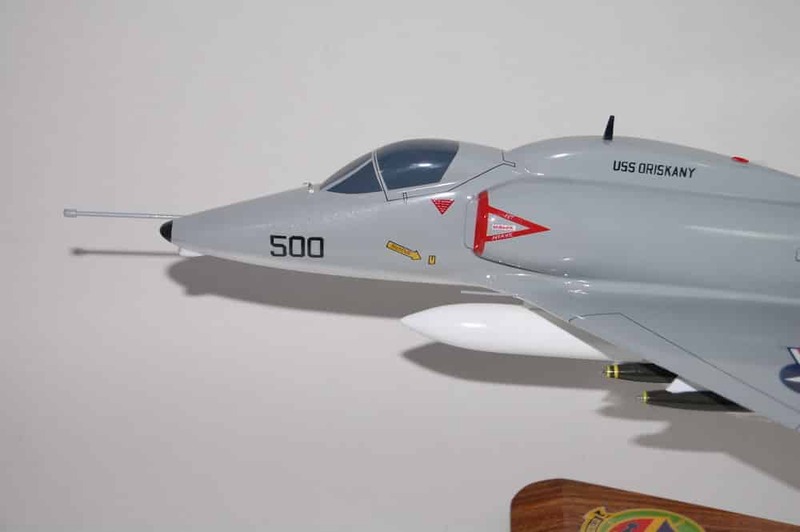 On 15 November 1946, the squadron was redesignated Attack Squadron 20A (VA-20A). 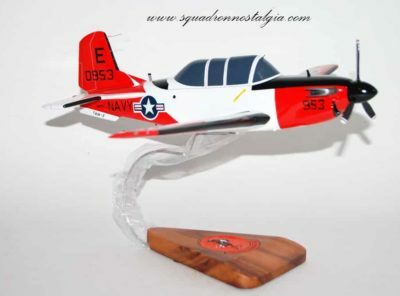 In May 1947, the squadron transitioned to the AD-1 Skyraider. In August 1948, VA-20A upgraded to the AD-2 and was redesignated Attack Squadron 195 (VA-195). 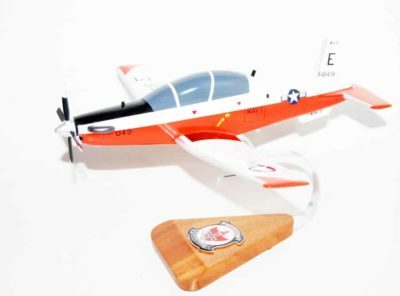 In January 1949, the squadron upgraded again to the AD-3. 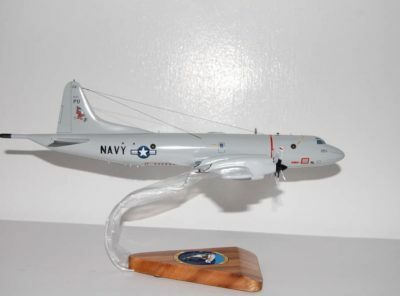 1950s VA-195 upgraded to the AD-4 in July 1950, and served in the Korean War while embarked on USS Princeton (CV-37). On 5 December 1950, the squadron flew its first combat mission since the end of World War II, flying close air support missions for U.S. Marines near Chosin Reservoir in North Korea. VA-195 “Kitchen Sink Bomb” on an AD-4 in August 1952. 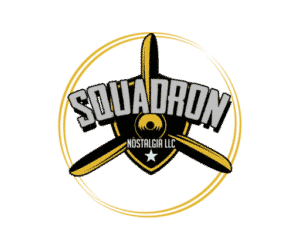 On May 1, 1951, the squadron’s Skyraiders, making precise low level runs, delivered aerial torpedoes on the heavily defended and strategically positioned Hwacheon Dam in North Korea. Destruction of the dam had been attempted by Air Force and Navy bombers but was finally accomplished by VA-195, earning them the nickname the Dambusters. The squadron upgraded to the AD-4L, and on 23 June 1952, the squadron conducted coordinated air strikes against the Suiho hydroelectric plant on the Yalu River and the Kyosen Number Three hydroelectric plant. Squadron aircraft participated in attacks against other hydroelectric plants the following day. On 11 July 1952, Dambuster aircraft participated in one of the major joint U.S. Navy, Air Force and Marine Corps air strikes of the war, hitting industrial targets in North Korea’s capital city of Pyongyang. In November 1952, the squadron relocated to NAS Moffett Field, and upgraded to the AD-4B and AD-4NA in early 1953. 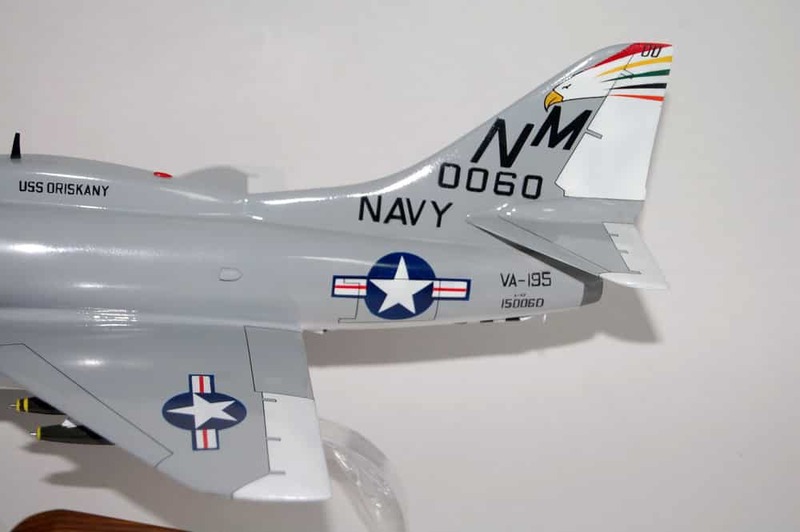 VA-195 received AD-6s in May 1954, and finally moved to the jet age with A4D-2 Skyhawks (later designated A-4B) in July 1959. A-4Cs of VA-195 on the USS Bon Homme Richard, 1961. 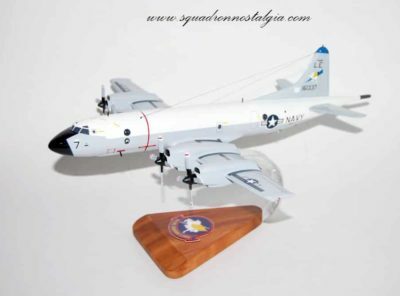 In December 1961, the squadron moved to NAS Lemoore, California, (USA). As the Vietnam war flared in the fall of 1964, the squadron made their fourth consecutive deployments on the USS Bon Homme Richard with the U.S. Seventh Fleet. 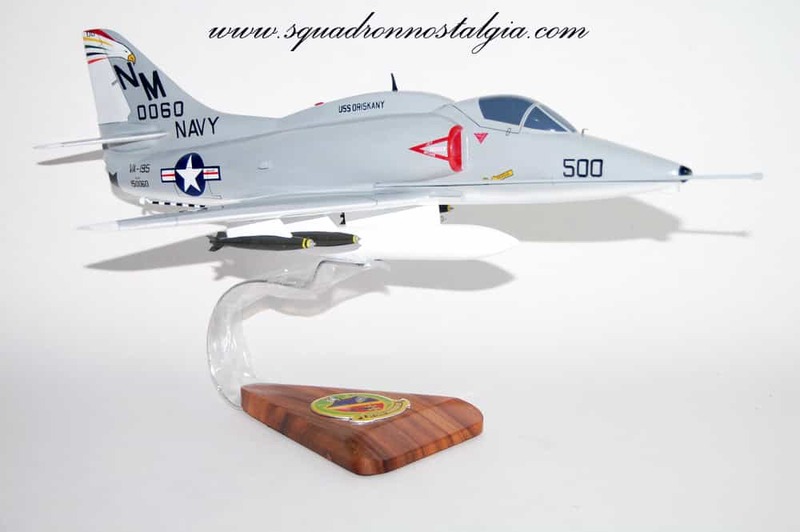 During the next five years, while operating various models of the A-4 from the decks of the Bon Homme Richard and USS Ticonderoga, the squadron logged more combat flight hours and sorties than any other squadron in Carrier Air Wing 19. On 20 April 1967, the squadron’s executive officer was awarded the Silver Star for his actions in planning and executing a successful strike against a Haiphong thermal power plant, accomplishing the mission without the loss of a single aircraft. In March 1968, VA-195, along with other squadrons in CVW-19, conducted flight operations from Ticonderoga in the Sea of Japan following the capture of USS Pueblo (AGER-2) by North Korea. 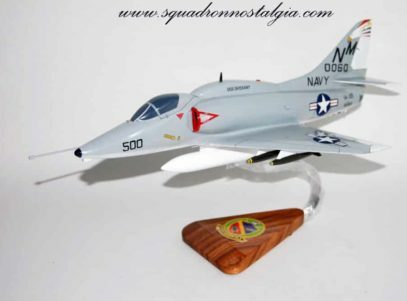 In September 1968, the squadron upgraded to the A-4E. A VA-195 A-7E over North Vietnam, 1970. In the spring of 1970 VA-195 passed another milestone, transitioning to the A-7E Corsair II. As a unit of Carrier Air Wing 11 on USS Kitty Hawk (CV-63), the squadron deployed in the fall of 1970, marking its fourth consecutive decade of involvement in foreign conflicts. In May 1972, Dambusters participated in the mining of North Vietnamese harbours and Linebacker I operations, concentrated air strikes against targets in North Vietnam above the 20th parallel. On July 19, 1972 the squadron delivered the first data link version of the television guided Walleye Glide Bomb down the throat of a cave storage area causing its complete destruction. Later the same day, they destroyed the Ninh Binh railroad bridge, also with a single weapon. In November 1973, VA-195 deployed with CVW-11 embarked on Kitty Hawk as part of the first CV concept air wing deployment on the west coast. 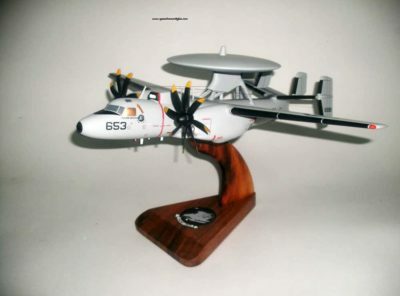 This concept consolidated all aspects of carrier aviation warfare into one air wing deployed on an aircraft carrier. The most important difference was the integration of the anti-submarine squadrons (VS) into the former Attack Carrier Air Wing, as the old Essex-class anti-submarine carriers (CVS) and their Anti-Submarine Carrier Air Groups (CVSG) were retired. Between 1970 and 1981 VA-195 made seven deployments with CVW-11 aboard the Kitty Hawk. The 1979 deployment led CVW-11 in unfamiliar waters, as it was deployed to the Mediterranean Sea, followed by the 1981 cruise to the same area and the Indian Ocean. A VFA-195 Hornet during the short assignment to CVW-10, 1986. 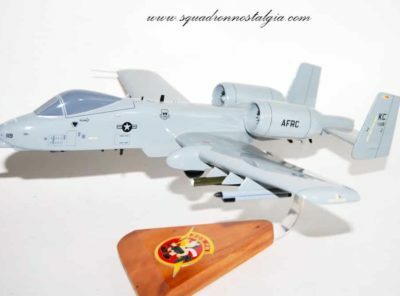 The Dambusters were redesignated Strike Fighter Squadron 195 (VFA-195) on 1 April 1985 and commenced transition to the McDonnell Douglas F/A-18A Hornet. The first of 12 new Lot 8 F/A-18A was delivered to the squadron in October, 1985. In 1986 VFA-195 was assigned to the newly established CVW-10. 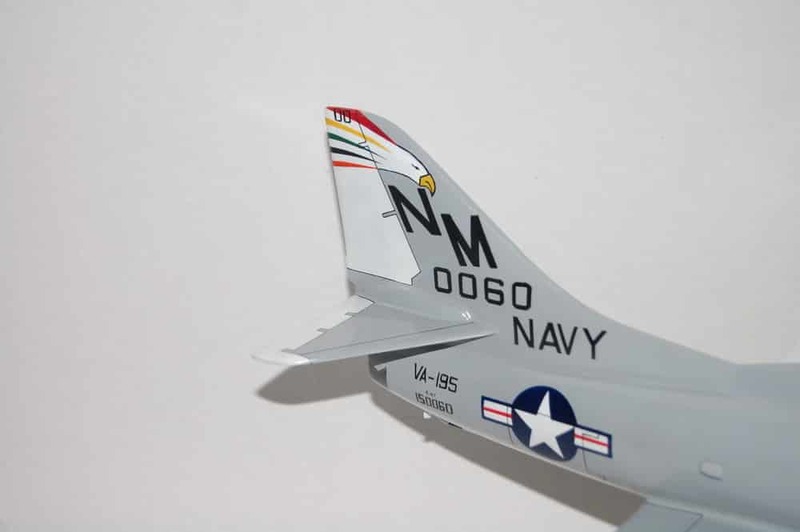 This wing was to deploy on the USS Independence, and it was given the old CVW-19 tail code “NM”. However, CVW-10 was never deployed. VFA-195 was the only squadron of this wing that was not disestablished in 1987. Instead, the Dambusters were reassigned to CVW-5 aboard the USS Midway, when CVW-5’s fighter squadrons transitioned from the McDonnell Douglas F-4S Phantom II and the A-7E Corsair to the F/A-18 Hornet. VFA-195 joined the Forward Deployed Naval Forces in U.S. Fleet Activities Yokosuka, Japan with the first aircraft arriving in Atsugi November 14, 1986. While ashore, the Dambusters since then operate out of NAF Atsugi, Japan. In 1987, the Dambusters completed 2 short Westpac cruises aboard USS Midway, January 9, 1987 through March 20, 1987 and April 23, 1987 through July 13, 1987, with port calls in Subic Bay, Philippines, Hong Kong, and Sydney, Australia. From November 1987 to February 1988, the squadron participated in Operation Earnest Will, the escorting of reflagged Kuwaiti tankers through the Persian Gulf. In the fall of 1988 and again in 1989, the squadron embarked aboard Midway and made deployments to the Indian Ocean, along with several shorter deployments in the Western Pacific. VFA-195 was deployed aboard the USS Midway when Iraq invaded Kuwait in August 1990. During Operations Desert Shield and Desert Storm the Dambusters flew 564 combat missions, delivering 356 tons of ordnance, and became the first Hornet squadron to deliver a Walleye II glide bomb in combat. In August 1991 CVW-5 switched from the Midway (which was being retired) to the new forward deployed carrier, the USS Independence near Hawaii. In March 1996, CVW-5 and the Dambusters deployed to calm tensions in the Taiwan Strait over Taiwan’s first direct presidential elections. Between 1991 and 1998 VA-195 made ten deployments aboard the Independence to the Western Pacific and the Indian Ocean. An F/A-18E launches from USS George Washington in May 2015. From 1998 to 2008 VFA-195 was assigned with CVW-5 to the USS Kitty Hawk. VFA-195 flew in support of Operation Enduring Freedom in 2001, striking targets deep in Afghanistan. Called on for duty in the Persian Gulf in 2003, the Dambusters flew 278 combat sorties in support of Operation Iraqi Freedom, delivered 179,000 pounds of precision guided munitions against military targets over the course of a single month. When the Kitty Hawk was retired, CVW-5 and VFA-195 moved to the USS George Washington in August 2008. During fall 2010 the squadron transitioned to the Boeing F/A-18E Super Hornet. In late 2015, CVW-5 is scheduled to be transferred to the USS Ronald Reagan (CVN-76) which replaces the George Washington as the U.S. Navy’s forward deployed aircraft carrier at Yokosuka, Japan.